Beautiful Penthouse Suite at the Crescent overlooking Reeve Creek and Private Greenbelt. 2 spacious bedrooms, 2 bathrooms, 1117 sq. ft. Very bright with large picture windows, high ceilings in the living room and bedroom. Excellent layout. Open concept kitchen, eating and living room area. Kitchen features ss steal appliances, quartz counters and tile backsplash. Spacious living room with brick fireplace/mantle and new gas insert. Recent upgrades in the complex are roof, carpet/paint in the hallways. Includes 2 parking stalls, 1 storage locker. 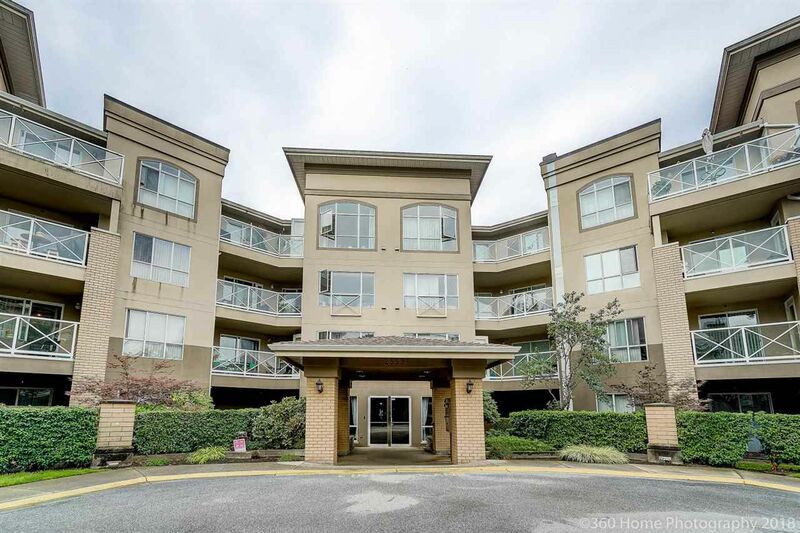 The Crescent is close to everything including schools, the Poco Trail, parks, shopping and all major transit routes. You will love living here!